With better nutrition and more available/advanced veterinary care, our pets are living longer and healthier than ever. Coupled with the fact that many households regard pets as part of the family, pets are enjoying healthy, meaningful lives interacting with the human household. As your pet gets older, some changes are inevitable -- a few more gray hairs, slower gait, perhaps more finicky or more reluctant to have the routine changed. Getting day and night mixed up - sleeping all day, awake all night? Confusing indoor and outdoor - a previously housebroken pet soiling in the house? Personality changes - i.e. a formerly outgoing pet becoming timid or aggressive? The first thing to do is see your veterinarian for a general health exam and to rule out any physical or medical problems that could cause abnormal behavior. (Actually, any pet over seven -- earlier for some large breeds -- should be seen for an annual geriatric examination. Most commonly, this is done at the yearly vaccination appointment.) If your pet has a clean bill of health, you may want to speak to your veterinarian about a medication called Anipryl. 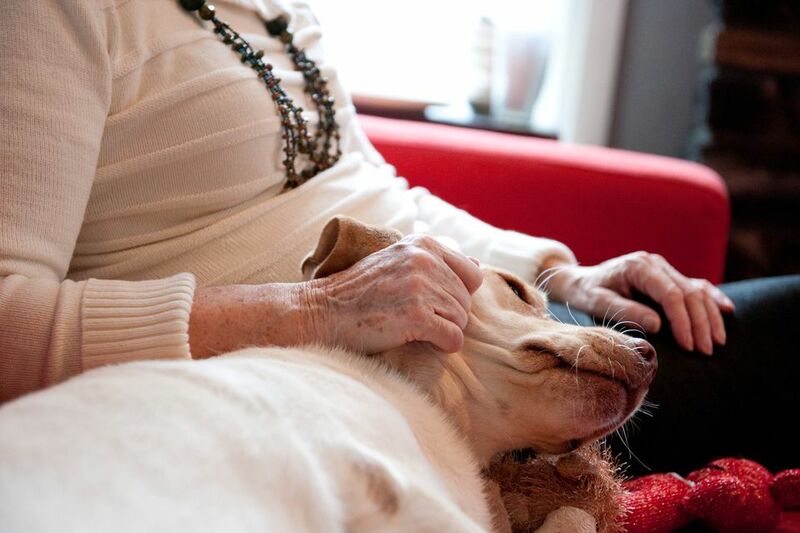 This drug has been approved to help animals with cognitive dysfunction. Anipryl is the veterinary trade name for a drug called selegiline hydrochloride (also known as L-diphenyl). It is used in humans for treatment of Parkinson's Disease, Alzheimer's Disease, and Cushing's Disease. The drug is approved by the FDA for use in dogs for treatment of Pituitary-Dependent Hyperadrenocorticism (PDH) also known as Cushing's Disease and Canine Cognitive Dysfunction. This is still a relatively new drug, and results of treatment for both canine conditions, while encouraging, will still need to prove the test of time. For cognitive dysfunction, some owners have reported near-miraculous changes in their geriatric dog's behavior after starting Anipryl®, others have not seen such dramatic changes. Possible side effects of this drug include (but aren't limited to): vomiting, diarrhea, hyperactive/restless, anorexia, staggering, seizure, lethargy.